Two stunning pieces of film from the 1920’s, showing events at Belfast Celtic Park on the Donegall Road, have been discovered by the Belfast Celtic Society. 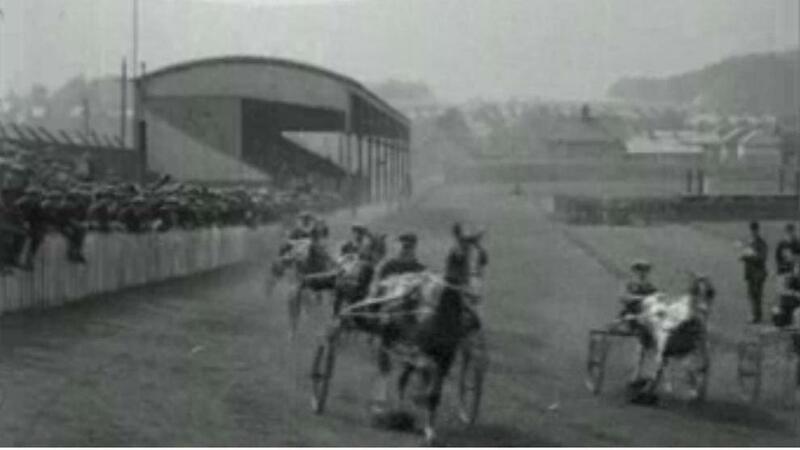 Recent searches on the British Pathe website have unearthed footage of a pony trotting race at Celtic Park during the Truce in the Tan War in July 1921. At this time, Belfast Celtic had withdrawn from football due to political violence and pony trotting would have been a welcome sporting release for people in west Belfast at a time of high tension. A second, five minute long piece of archive, from the ITN Source website, shows the amazing sight of the 1925 Celtic Carnival winding its way from the city centre through west Belfast to Celtic Park. Organised to provide funds for Belfast Celtic’s return to football after the conflict of the early 20’s, the carnival drew tens of thousands of participants and spectators to Celtic Park, where revelers enjoyed a funfair. The money raised from this event was used to build the Willowbank Stand, which loomed over the Iveagh district until the ground’s demolition in the early 1980’s. “As well as pony trotting, it was a famous centre for greyhound racing, while boxing tournaments were held there, as well as amateur athletics and cycling meets. 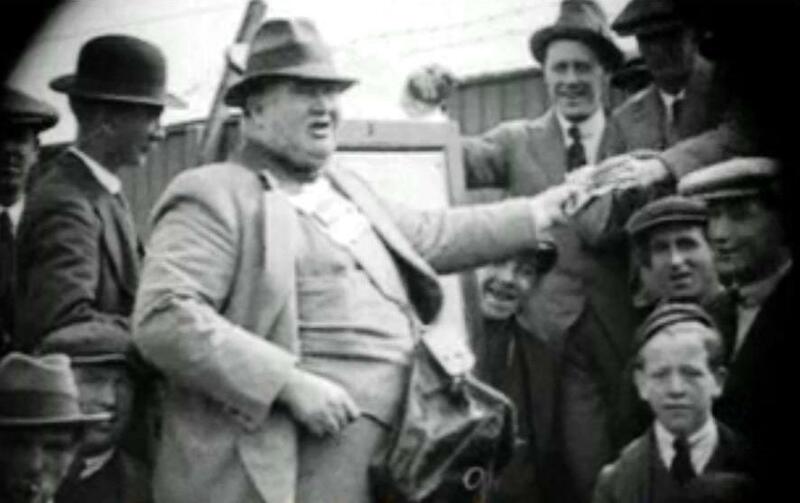 On the footage of the Celtic Carnival, we see the crowd being addressed from the stage by several dignitaries, including Belfast Celtic Chairman Hugh McAlinden, whose home is now the Roddy McCorley club and ‘Wee’ Joe Devlin, the popular Nationalist MP for Belfast West. 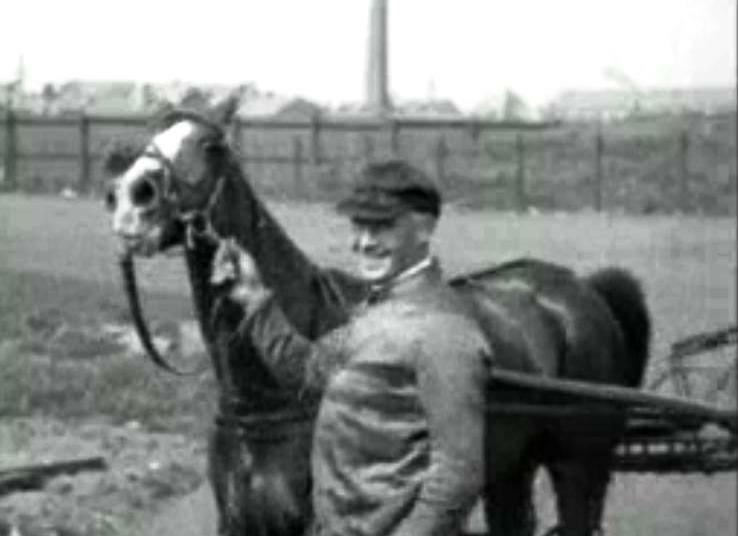 Tommy Majury with his winning horse, called ‘Why not? Returning to the ITN footage of the Celtic Carnival, Padraig said; “This piece of film really does encapsulate what Celtic meant to everyone here. Barefoot children from the Falls follow the camera as it pans around the carnival stalls and all the adults look to be dressed in their Sunday best.